Find out where to stay in Edinburgh: here is a succinct summary of the best areas to stay in Edinburgh, the capital of Scotland! Scotland’s second largest city, Edinburgh has been the capital city since the 16th century. With a population of 482,640 inhabitants (in 2012) and extending over an area of 259 km², it is as large as the department of Val-de-Marne (94) in France. Edinburgh is also a city where the number of dwellings per inhabitant is among the largest in Europe. As a result, while finding an apartment or a hotel is fairly easy, it is still useful to know what are the best areas to stay in Edinburgh. 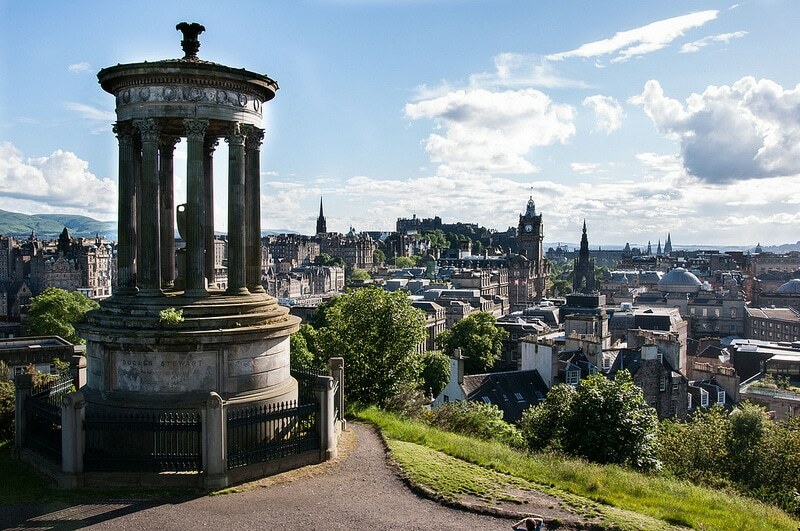 Built on volcanic hills, Edinburgh is known for its arts festival, its whisky, and for being one of the shining lights of the Age of Enlightenment (particularly because of the works of Adam Smith and David Hume). Listed as a UNESCO World Heritage Site, the city has few districts, and we would advise you to plan a relatively high budget for accommodation here, as in any major city in the United Kingdom. So here are our recommendations of the areas to stay in Edinburgh. Built on a crag, the historic centre is the oldest part of the city, and is home to Edinburgh’s most interesting buildings. The old town has retained its picturesque character and medieval appearance, with many buildings dating from the Reformation. 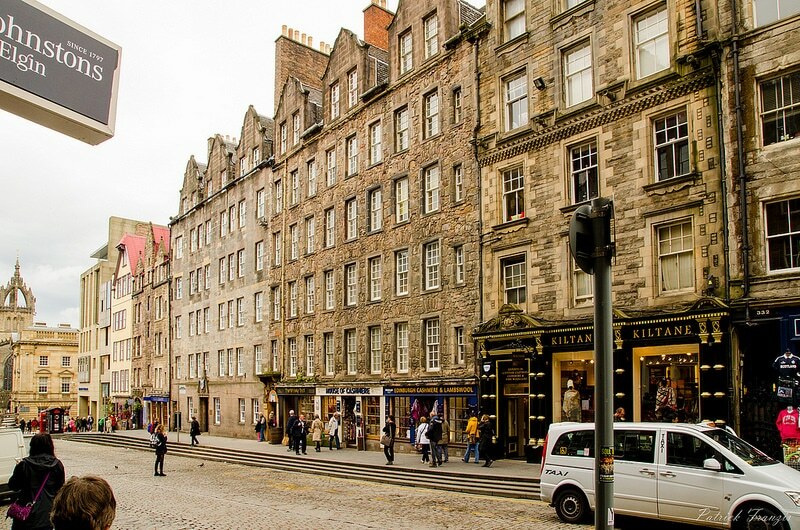 Wander along the main street – the Royal Mile – and you will find a maze of narrow streets with wide squares, markets, and green spaces. In the city centre, don’t miss Edinburgh Castle, Holyrood Palace, Princes Street Gardens, and the National Gallery of Scotland. This is a very central, lively, and energy-packed place to stay. If you’re unwilling to pay at least €60 for a room for the night in a hotel, try the youth hostels, they are THE alternative to costly accommodation in Edinburgh. This is the area of Edinburgh where you can find chic department stores and major fashion retail chains. If you plan to spend a day shopping, this is where you should stay. Located in the heart of Edinburgh, it’s a perfect area to relax in the city’s gardens, green havens offering absolute tranquillity. With its Georgian buildings dating back to the 18th century, the area’s architecture is considered to be one of the United Kingdom’s finest artistic achievements. Further north, between the city centre and the district of Leith on the coast, stands Arthur’s Seat, one of the city’s highest peaks, offering panoramic view of Edinburgh Castle. The famous 251-metre-high hill overlooks the city and the central district. Climb the 143 steps to enjoy the view from the top of the Nelson Monument. Below, cafes, bars, pubs, and restaurants will delight all night owls. Situated just a stone’s throw from the city centre, it’s a great place to stay in Edinburgh if you’re looking for a compromise between a vibrant nightlife and the proximity to natural surroundings. To the west of the city centre, on the banks of the Water of Leith, Dean Village is a very calm area, offering the kind of lush nature walks that can make you forget that you are in a European capital. The old mills have been restored and turned into elegant apartments, while many houses date back to the 17th century. This is where parts of the movie Avengers were shot. 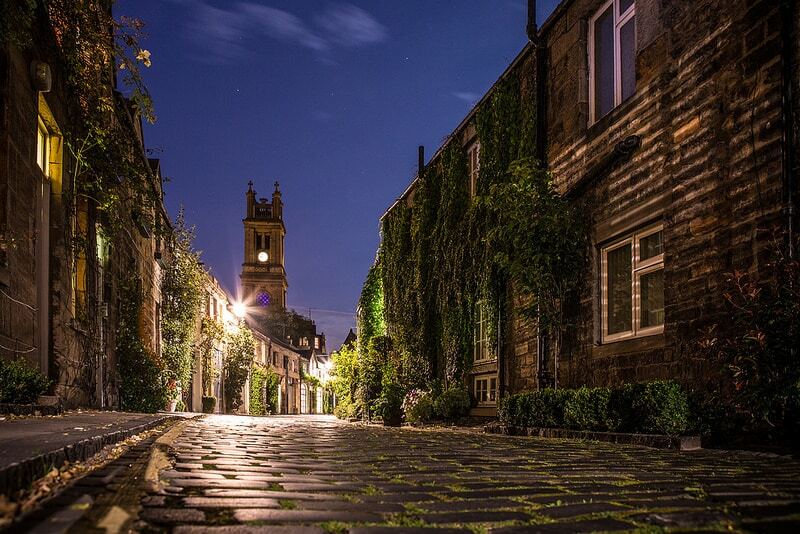 Though many Scots settle here, the area is devoid of shops and pubs: choose this neighbourhood to stay in Edinburgh if you are travelling with your family. If Leith’s district has now been totally absorbed by the city, it was once completely separate from Edinburgh until the early 20th-century. Fashionable industrial buildings are becoming more and more attractive. Leith is where you can see the Royal Yacht Britannia or shop at Ocean Terminal. You will certainly appreciate the array of cafes and restaurants at the mouth of the Water of Leith.